Those in need of a holiday can spend their time soaking up the rays in the A While on the Nile slot game at Mr Green Casino. This game takes players down the River Nile as they attempt to fish for some jackpots while avoiding the crocodiles. Let’s get ready to go on an adventure! This game doesn’t look like any other that you may have played, as it takes place over five reels and four rows. That’s an extra row of fun when compared to other slots and a lot more places to match up those jackpot symbols. This comes in handy for the jackpot hunters out there, as you’ll get bigger wins and better value. To go along with all those symbols, there are a whole load of paylines to activate too! There are 50 of these lines making their way across the screen and they’re always active. As these are fixed, players simply use the bet button to change the wager up and down, it’s not a complicated game. Then you can spin the game manually or set up the autoplay to watch the game play for itself. 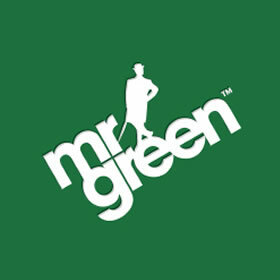 There are a whole load of additional features to play along with in this game at Mr Green Casino, including wilds, scatters and more. Let’s take a look at the wild symbol first, as this is the one that you’ll want to see the most of. Just the same as the Pharaoh was the King of Egypt, he’s also the king of this game as he appears stacked as the wild symbol. This can take the place of any of the regular symbols on the reels and will up the jackpot amount won. If you want to enhance the wild symbol further then you can add in the Superbet Feature by activating it at the side of the reels. This adds cash onto the wager that you make but it also makes the wild symbol worth even more. At the top of this feature, you’re able to win a 10x multiplier on any combination that the wild symbol is a part of. The Emerald symbol is another one that will have you seeing cash everywhere as it activates the free spins round. 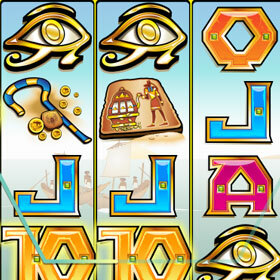 Three of these symbols will take you into a round of 5 free spins, where you can trigger yet more free spins. There’s one final feature to be aware of when you play this game, which is the Scarab bonus. These insects are found on many hieroglyphics and will take you into a pick filled bonus round. Just select the scarab that you think holds the best prize to win a multiplier. Once you have your jackpot in hand, you can activate the gamble bonus too. In this mini game, you’ll be guessing which card is coming out of the pack next to secure a bigger jackpot. Beware, this can backfire and leave you with nothing if your answer is incorrect though! 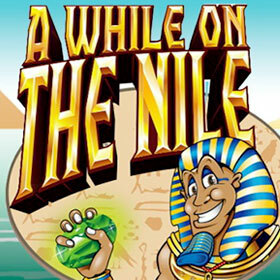 Spend A While on the Nile and discover the treasure that lurks beneath the reels at Mr Green Casino. You can play this slot machine game and 100s more like it at Mr Green Casino. 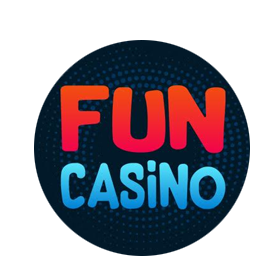 Joining is easy and only takes two minutes, plus new customers get a Welcome Bonus of £100 – Plus up to 200 Free Bonus Spins.